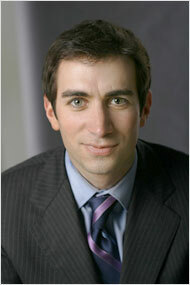 The writer of the column below, Andrew Ross Sorkin, explained his thinking of the “Today Show” on NBC March 17, 2009. Billionaire Wong Kwong-yu personifies the journey China has taken since it launched sweeping economic reforms 30 years that transformed the communist country into an economic power. But as Wong — founder and chairman of the country’s biggest appliance chain — is finding, getting rich in China is still plenty risky. Born into poverty, Wong built a fortune selling appliances to a nation of consumers hankering for a modern, affluent lifestyle. Estimates of his wealth vary, but an October report by Shanghai-based researcher Rupert Hoogewerf named him the wealthiest Chinese individual, with assets worth about 43 billion yuan ($6.3 billion). Last month, however, Beijing police confirmed that the 39-year-old Wong was the focus of an investigation into alleged economic crimes. His whereabouts are unclear. His company, Gome Electrical Appliances Holdings, has released scant information since it suspended its shares from trading in Hong Kong last month. Scores of Chinese entrepreneurs like Wong have made fortunes by exploiting economic niches neglected by the state-run companies that still dominate many strategically vital businesses, such as banking. But the loopholes and gray areas that are crucial assets in the early years sometimes come back to haunt those tycoons later — what some in China call the “original sin” problem. And apart from potential entanglement in corruption scandals, wealth inevitably draws unwelcome attention from the authorities. In China, the road to success often runs from rags to riches to, eventually, really big trouble. “It’s not because the government discourages wealth, but because of the ‘original sin’ problem,” said Ge Dingkun, a professor of strategy and entrepreneurship at the China Europe International Business School in Shanghai. “Typically, the companies grew when the relevant legal system was lacking and they had to give ‘sweets’ to officials to get anything done that was not clearly legislated at that time, the so-called gray areas,” Ge said. One of China’s most prominent human rights activists has been arrested after publication of an open letter to the government from hundreds of prominent Chinese intellectuals, according to his wife and a colleague. The document, published Tuesday on the Internet, proposes extensive political reform, including an end to one-party rule. The unusually bold appeal, released a day before International Human Rights Day, has struck a discordant note here amid the Chinese government’s attempts to paint a picture of progress as the country prepares to celebrate the 30th anniversary of its policy of reform and opening up. Police arrested veteran dissident Liu Xiaobo, suspected of organizing the petition, late Monday at his Beijing home. His wife told reporters that several policemen had arrived with an arrest warrant about 11 p.m.; some took him away, she said, and the others stayed through the night to search the house and confiscate computers, books and other belongings. Another prominent signer of the document, political theorist and activist Zhang Zuhua, was arrested and detained at the same time but was released the next morning after a lengthy interrogation, he said. His house was also searched and belongings confiscated. Zhang said Liu is being detained on suspicion of “inciting subversion of state power. China is to Human Rights what Iran’s President Ahmadinejad is to world peace…. With much self-congratulatory back-slapping today, Dec. 10, the United Nations will celebrate the 60th anniversary of the Universal Declaration of Human Rights (UDHR). The Declaration is a noble document to which many U.N. members pay lip-service, and routinely violate. In the aftermath of World War II – with memories of genocide and other atrocities still fresh – the delegates from 48 nations who gathered in Paris in 1948 were anxious to affirm the universality of human rights. It goes on to affirm: “the right to life, liberty and security of person,” freedom from cruel or degrading punishment, freedom from arbitrary arrest and detention, the right to a fair hearing by an “independent and impartial tribunal,” freedom of conscience and expression, freedom of religion, and the right to protest. While all this looks great on paper, the operation of the United Nations makes a mockery of UDHR. Nowhere is this more starkly revealed than in its treatment of China and Taiwan. These neighbors across the Taiwan Straits provide their own vivid contrast in the area of human rights. After two decades of political reform, Taiwan is one of the freest countries in Asia. The first multiparty legislative elections occurred in 1991-92. Since 1996, Taiwan has had four presidential elections and two orderly transfers of power between the major parties. Its people enjoy freedom of expression and worship, the right to fair trial by an independent judiciary, freedom of the press, the right to peacefully protest and freedom from arbitrary arrest, to the same degree as citizens of the more mature democracies.